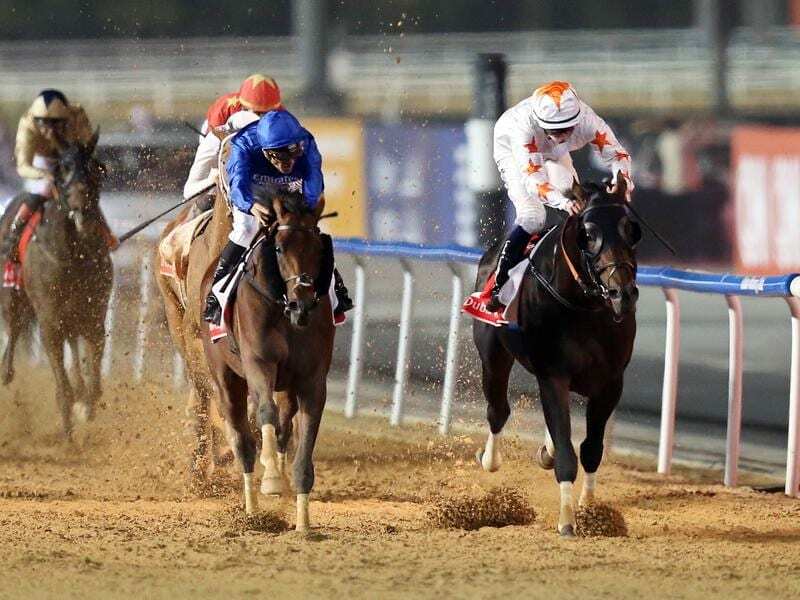 Thunder Snow (l) has beaten Gronkowski to win his second Dubai World Cup for Sheikh Mohammed. Godolphin’s Thunder Snow has become the first dual winner of the Dubai World Cup in a fighting finish to the Meydan showpiece. “Last year I went to the lead and won by five or six lengths. Today I had to fight hard as when I came to the turn, the two horses in front were going better than me,” Soumillon said. “It was very hard and I was looking more like a Cheltenham jumps jockey than an American-style (Flat) jockey in the end! Bin Suroor said Soumillon was a big part of Thunder Snow’s success. “… Christophe needs to take a lot of the credit, as he has formed such a wonderful relationship with him.